Karen worked on an online writers site – Writers Carnival – and wrote more than 80 short stories, 50 poems, and flash fiction at that time. She published stories in Readers Carnival and Sanitarium magazines before committing to becoming a novelist. 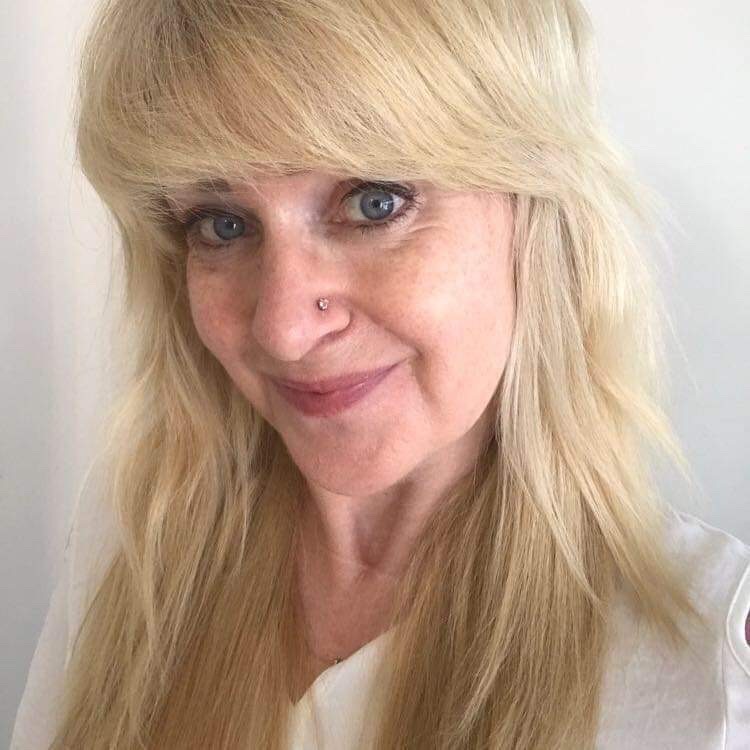 Karen’s biggest irritation in life, is that there are not enough hours in the day to fit in her day job, her writing, marketing, online platform building, and -insert the many things she may have forgotten here-! Writing is her passion, her name is Karen, and she is very pleased to meet you. London, 1910. Bram Stoker’s Dracula had made barely a ripple in the pool of human consciousness, and it would be another 12 years before Nosferatu breathed life into a vampire on the big screen… but even then, in human society, vampires existed. Like a seam of gold running through the coal, they were there, but you had to look for them. Doctor Connor became a vampire and had been dead for one hundred years. But, will I survive the next one hundred? He was not so sure. The London of 2010 was a Vampire Hive. Immortality resembled a tightrope walk over the Grand Canyon, and the difference between having a prune or a plum for a brain was the hydration that could only happen when a vampire slept. Like all true predators, vampires evolved, learning how to ‘sleep’ one compartment of their brain at a time. The down side was, that like the victims of a multiple personality disorder, although vampires were always conscious, they were not always in control. As though that were not enough, Mother Nature stepped in and dealt a cruel blow. An influenza epidemic killed most of the human population, created a food shortage, and forced vampires out of the shadows. Fifteen years had passed and humans have become a protected species, imprisoned, farmed as cattle and siphoned for their blood. The biggest cloud on the vampire horizon was that humans age, and choose to die rather than condemn their unborn children to a life sentence of blood-letting. Suddenly, immortality had an expiration date. Doctor Connor’s blinkered existence was thrown into disarray when he treated a ‘vampire girl’ and alarm bells inside his head were set ringing. The penny dropped that she was a ‘free range’ human, and that hiding her would be considered as ‘threatening the food supply’ and carried the death penalty… it really should be a no brainer. And yet. Against every instinct he had, he felt compelled to return her safely ‘home’, risking his own life and killing his own kind in the process. When Connor gripped Rebekah’s arm, her thundering heartbeat resonated through him. His stagnant existence shattered as he embraced the tingling joy of how it felt to be alive once more, and his journey into madness began. Admiration for the human spirit punched a hole in his shell of indifference. Rebekah could not escape without the doctor’s help. Her fear of vampires tilted on its axis when Connor became her safe haven. Outwitting the vicious intent of a vindictive councilor, surviving attacks by the vampire councils’ guardsmen, and being sentenced to locked-in syndrome were never in Connor’s wildest imaginings and falling in love with a human girl was something he never expected. Flying in the face of everything he should do, Connor risks everything and embraces the exhilaration of saving Rebekah and her group. Awakening is the first in a series five vampire books set in post-apocalyptic England. 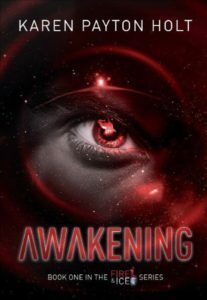 In ‘Awakening’ a Pandora’s box sprung open, and as the conflict hurtles into darkness, even vampire senses are reeling. Connor and Julian’s troubles have only just begun. Moving the human community to a secret location should have given them some respite, but the storm clouds are gathering. They are safe, but for how long? When Connor threw down the gauntlet and swore to protect Rebekah and her group, he sucked Julian into his chaotic world. Keeping humans out of the Farm Facility is only one stop along the way to madness, and now Julian is just as entangled in the web of deception. Lying to the jurors is something Julian faces with grim determination, and Connor’s senses are on continual overload as if he is juggling with fire and everything he loves could incinerate in an instant. Although still a thorn in their side, Serge they can control. The councilor is a mere splinter compared to a depraved foe who wears the cloak of anonymity. ‘Safety’ is an illusion which crumbles when Rebekah’s life is on the line, Connor sacrifices himself to certain death… and that is just the beginning. 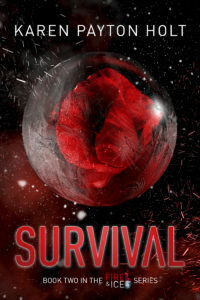 SURVIVAL is the second in a series five vampire books set in post-apocalyptic England. 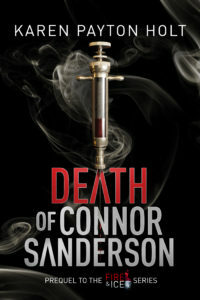 If you want to know how Connor came to be, then the PREQUEL – Death of Connor Sanderson, set in 1910 London, takes you back to the beginning. Two years have passed since Rebekah gave birth to the hybrid child, Seren. Her development continues to scare and fascinate Connor and Rebekah. Now the London Hive vampires know a hybrid birth is possible, they become restless; Connor is being pressed hard for answers and Principal Julian is losing control at council hearings. Connor and Anthony ruthlessly enforce the twenty-five mile exclusion zone around the eco-shelter community Seren and Rebekah still call home, but regardless, the hive members attacks become more frequent and ferocious. The body count is mounting and something has to crack under the pressure… but, when the implosion comes, Connor is blindsided. The attack comes from places he could never imagine. As events spiral out of control, two groups journey across continents and come together in a last ditch rescue effort – each drawn to the eye of the storm. Julian can’t dissuade Connor from his chosen course, where recklessness crosses the boundary into fatalistic. The shock waves of discovery shatter Connor’s world. 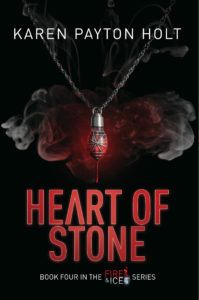 Everything outside the London Vampire Hive is unpredictable, brutal even; the fate of humans, Greg and Seth, are tied to that of Julian and Connor, and the stakes become overwhelming when Connor’s psychic connection to Seren is infiltrated by an unknown presence. Fighting for their lives is the spector hanging over them all. ‘Succeed or die trying’ becomes the grim mantra which haunts them. The London Hive has settled into an uneasy peace – as though everyone is holding their breath. Connor delivers great news on the development of the ‘blood substitute’, and humans are beginning to let go of their fear and believe that vampires are not all bad. 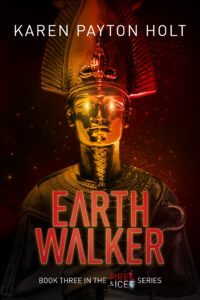 An engagement party brings everyone in the eco-town together; Seren and Osiris celebrate the first hybrid betrothal, but then the emergency klaxon jolts the world back into battle stations. A vessel oozes into the London docks and the undead crew are cloaked in secrecy and unknown customs. Julian meets them with a display of force, but the visitors are masters in distraction and deception. The hive is torn apart when Connor betrays his family and willingly joins the vessel. Rebekah, Marius, Anthony and Greg launch their own mission against the invading force. Seren, Osiris and Malachi strive to make contact and find a weakness in the wall Connor has built around him. Julian and the London Hive can’t afford to lose this confrontation – the lives of humans and vampires alike hang on the edge of an abyss – one push and the world as they know it ends. Connor doesn’t believe in magic, portents, or the black arts, but science and reasoning are no match against the forces dragging him under. Doctor Connor is the hero of the Fire & Ice Series: Awakening, Survival, Earth Walker, Heart of Stone, and Invasion. But all nightmares begin somewhere, and for him, it began in 1910, London – when the city was a mad melting pot of trolley buses, cars, and bicycles, but a few gentlemen hung on to carriages as their preferred mode of transport. London, 1910: Bram Stoker’s Dracula had made barely a ripple in the pool of human consciousness, and it would be another 12 years before Nosferatu breathes life into a vampire on the big screen. Doctor Connor Sanderson wakes up feeling… unusual. And everything he knows about the world spirals out of control. Only three scenarios wade through his petrified brain; he is descending into the vortex of insanity, he is dying, or something so terrifying is crawling through his body, that he wishes he was dying. As Connor battles with the demons rising inside, a series of gruesome deaths in London lead the police to his door. The holes in the fabric of his memory torment him as Connor fears he has become a monster. He cannot even confide in his best friend, Reginald Cranham, son to Lord and Lady Cranham – how do you tell someone you can hear their heartbeat and the blood cells rushing through their veins are a symphony of delight? A mysterious bony figure, with eyes like pools of ice, hovers on the edges of his consciousness, and seems to hold the answers Connor is looking for. But can Connor trust him, when he can’t even trust himself? Have read Karen’s first two books, they are brilliant, looking forward to reading the whole series. That sounds like a great way to start writing.